ENDURANCE DRY TM With a high-vis GORE-TEX® hood, face shield, cinch collar and adjustable Exoskin® wrist cuffs, this windproof and breathable waterproof jacket, built with MIL SPEC 6.5 with GORE-TEX® fabrics, keep your core completely dry for days on end. 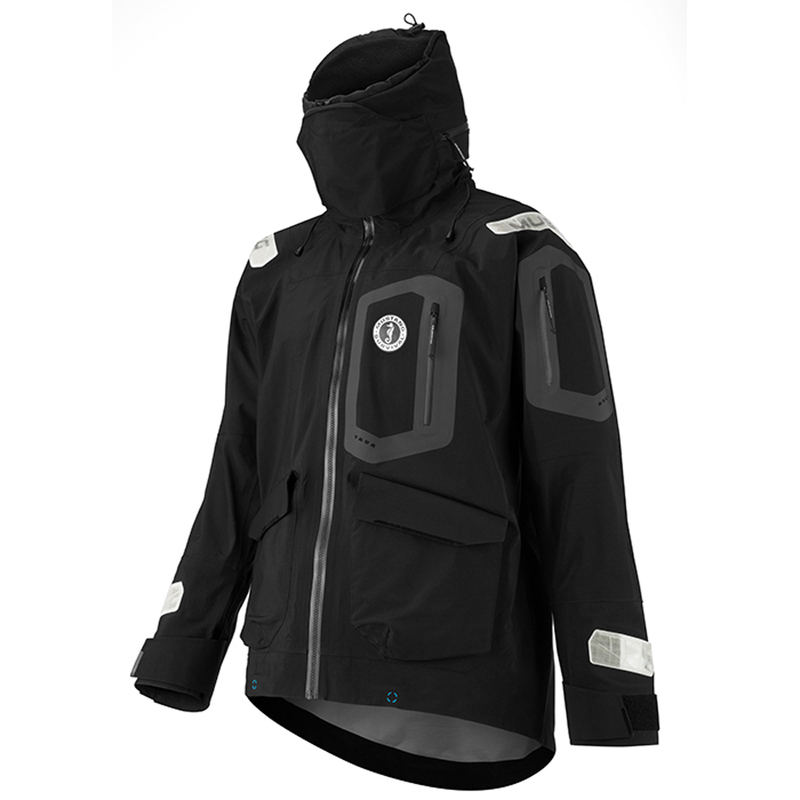 ARMORED CONSTRUCTION TM This jacket will stand up to the frequent use it will encounter with military-grade fabrics and Cordura® 1000D reinforcements. The reinforced hanging loop protects the jacket from damage when hanging and can even take the weight of an arrested fall. ADAPTIVE COMFORT TM Utilizing the Cohaesive TM cord lock system for adapting fit, a 2-way waterproof Aquaseal® zipper,and a soft fleece lined neck for warmth and chafe reduction; uncomfortable jackets will no longer be an excuse. RESPONSIVE FIT TM Mobility Based Sizing TM provides superior range of motion without the bulk of a traditional jacket and articulated elbows, a bottom cinch, and slit sleeve cuff openings offer fine-tuning fit.